Bible Raps harnesses the excitement inspired by rap music in order to enhance formal education and create new informal opportunities with which to engage Judaism. Beyond “achieving a kind of celebrity… with his Bible Raps project” (The Forward, “Holy Hip-Hop,” by Bari Weiss), Matt Bar and his musical partner Ori Salzberg, as well as their team of educators, are developing a teaching solution that enables Jewish educators to use Bible Raps to transmit the Jewish tradition in a more relevant and exciting way. A central way that Bible Raps will disseminate its program is via A Bible Raps Teacher’s Tool-Kit. - An album of eleven Bible Raps that incorporates verses from the Torah, Midrash, and Talmud that are used to trigger student interest in the material. - A teacher’s guide that specifically illustrates the connection between the ancient texts and the modern rhymes, clueing teachers into the midrashim and biblical texts being used in any given rap. - On-Line Resources that include YouTube videos which compliment the album songs and a video where Matt explains to youngsters the process of writing a Bible Rap. The Teacher’s tool-kit is going through its second pilot phase in 23 classrooms. Based on feedback from this pilot, additional albums of raps about the core texts and values of Judaism will be included and lesson plans specific to the Hebrew school and camp classroom will be compiled. Furthermore, the on-line resources will expand to include a contest for the best student Bible Rap, a teacher’s resource page and the incorporation of ‘Smartroom’ technology so Matt and Ori will be able to have a presence in the classroom beyond their tours. In addition to the scores of teachers who are now advocates for BRP (from the two pilots and two 5 week tours), Matt, Ori and their team have been meeting with many organizations to help plan how to reach more classrooms in a more effective and comprehensive way. Meetings with JESNA, PELIE, NAACHHS (North American Association of Community Hebrew High Schools), the CJP of New England, the BJE of New York, the central staffs of Hillel, BBYO, Federation of Greater Washington, the JCC Merrin Scholars Fellowship, as well as presentations at Limmud NY have provided BRP with countless contacts and interested parties as well as feedback on how to refine their educational goals and methods. Launched out of the 2007 PresenTense Institute by Matt Bar, who previously had a song on MTV and was a featured artist on NBC’s “Hip-Hop Nation Notes from the Underground,” the project has grown to incorporate a stellar lay and professional team of music and multi-media producers, educators, Jewish organizational professionals, and a growing band of enthusiasts in the Jewish educational world—and of course among Jewish youth themselves. The Bible Raps Curriculum harnesses the excitement inspired by rap music in order to enhance formal education and create new informal opportunities with which to engage Judaism. We need financial support in order to support the production of the Bible Raps Teacher’s Tool-Kit, as well as the tours which will provide programming across the country and help spread the teacher’s tool kit to make the learning of our core texts more exciting and relevant performances. 1. Have the Bible Rap album and teachers’ kit being used in 40 classrooms helping teachers create an exciting and enriching environment for Jewish education. In order to advance this cause, Bible Raps will begin exhibiting and presenting at the many conferences and gatherings offered around Jewish education. 2. Complete another Winter tour of day schools, Hebrew schools and Hillels (from Connecticut down to D.C.) as well as a camp program tour. Beyond having Jewish youth thrill to songs about core Jewish texts, the tours represent opportunities to spread the album and meet educators interested in using Bible Raps in their classroom. Opportunities to instruct many teacher’s at a time on how to use Bible Rap in their classroom are being made available and will be sought. Over the course of these tours the students themselves will write and record scores of raps based on core Jewish texts in our workshop. We have 32 already. 3. Continue at pace performing and teaching for thousands in Jerusalem, especially North American groups visiting on programs. Jewish educators around the globe are perpetually seeking techniques to teach Jewish texts in a manner that is relevant and exciting to the next generation of Jewish youth. Part of the educational challenge, according to the reigning formulation, lies in the powerful attraction of popular culture: how can the Jewish educational signal gain a fair hearing through the static of pop music, television, and web? 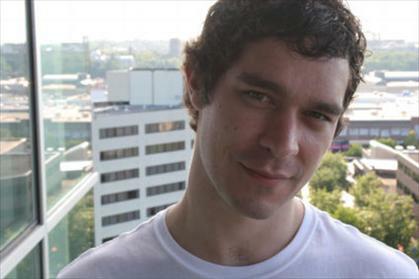 As compared to Matisyahu, our music is rap and based on the core texts; it is explicitly pedagogical using the younger generations most popular mode of cultural communication (Rap made up almost 70% of the number one songs on the Billboard charts in 2007). Matisyahu is reggae and not about our core texts nor is it written with the feedback of Jewish educators. As a PresenTense Institute project, Bible Raps offers volunteer and interning possibilities for people in Jerusalem. Today’s youth would be attracted to donate to our organization because we make Jewish learning awesome. It’s something unabashedly American and unabashedly Jewish that they can relate to and take pride in. If their school has our tool-kit or they come to our workshop they can make their own bible rap. 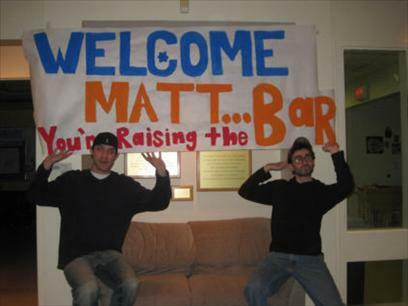 Founder, Matt Bar had a song on MTV and was a featured artist on NBC's "Hip-Hop Nation Notes from the Underground". 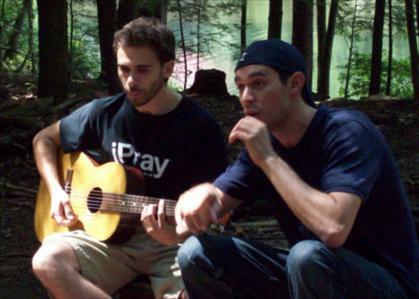 I go to Camp Ramah Darom, and have been through the Bible Raps experience also. I love it! I go to Camp Ramah in Palmer, and have already been through the Bible Raps experience. It is so great, and I am glad to help spread it. Hope to see you guys back here this summer! This is a great group. They are highly effective at energizing children to be enthusiastic about learning Jewish-related things.